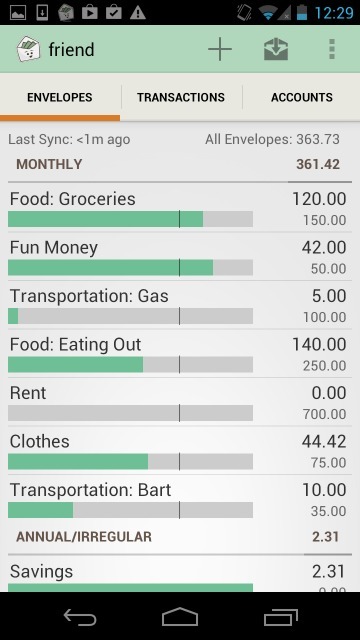 Goodbudget for Android isn’t old anymore. 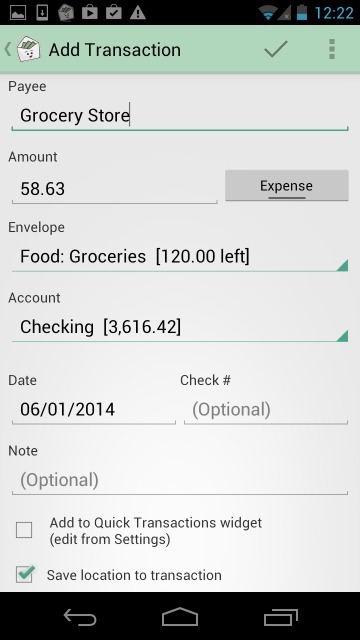 It’s been a long-time comin’ but we updated Goodbudget for Android. Go to the Google Play Store and download the latest version. It’s shinier, greener, and easier to navigate. You can do everything you did before, but with a much needed facelift. Go to the Google Play Store for the update. This is a fantastic update! I have a small request. Would it be possible to automatically handle the decimal point when entering amounts? For example, to enter $15.75 in the current implementation, the user would have to hit ‘1’ ‘5’ ‘.’ ‘7’ ‘5’. I propose having an option where the user could skip entering the decimal point. It would make entries just a tad quicker and a whole lot less frustrating (especially when using the calculator to enter amounts). Thanks! Hi Chung, we’re glad you like the update! I’ve added your request to automatically add the decimal place to our requested features tracker.